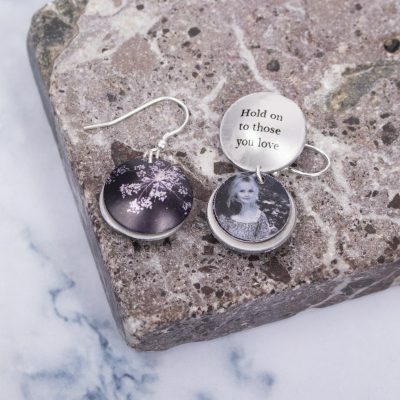 Include some botanical art in your everyday style with our collection of beautifully crafted jewellery. Made with care and precision each piece within the collection makes a statement by including unusual patterns and colours. Including cuff bracelets, circular pendants and earrings, you are sure to find a Gillian Arnold design to suit you. December Birth Flower Bracelet Gift For Her, Poinsettia, Beautiful Floral Bangles and Jewellery. February Birth Flower Bracelet Gift For Her, Iris, Beautiful Floral Bangles and Jewellery. July Birth Flower Bracelet Gift For Her, Delphinium, Beautiful Floral Bangles and Jewellery.